At R&R Insurance, we get weekly inquiries about self-funding or self-insuring health insurance for their employees. This is a very hot topic right now, and we are here to help. This Self-Insurance Guide covers the basics of self insuring your company's health insurance. 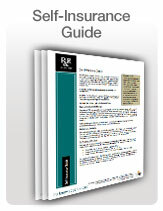 Download your Self-Insurance Guide here. R&R is well versed in the self funded options available to small groups and has first hand experience transitioning small employers to partially self funded and self funded options. For more information about self funding your health insurance, contact a knowledgebroker today! With the onset of Obamacare and the need for individuals to make decisions about their own health insurance purchases, I thought it appropriate to share the information we received from the Wisconsin Office of the Commisstioner of Insurance, (OCI). The Wisconsin Office of Commissioner of Insurance (OCI) has completed its initial analysis of rate filings in the individual market. View Percent Increase Chart published by the OCI. "While the exchange in Wisconsin will be run by the federal government, insurers wanting to offer coverage in the exchange had to file their rates with OCI. With our review of the exchange rate filings completed, we have attempted to compare what Wisconsin consumers are paying today to what plans will cost post 2014 under the new federal health law," stated Commissioner Nickel. "The truth is that comparisons are difficult because rates are going to vary based on age and where you live." "With that said, from our analysis, it appears premiums will increase for most consumers. And, while there is no question that some consumers will have subsidies and may not pay these higher rates," Commissioner Nickel continued, "someone will pay for the increased premiums whether it is the consumer or the federal government." Wisconsin residents: for more information about Obamacare, PPACA or individual health insurance, please contact knowledgebroker Jane Shevey. Join our group on LinkedIn: Obamacare: Strategies for Business to Survive. We welcome you to join in the conversation with our LinkedIn group dedicated to discussions for business owners on Obamacare: Strategies for Business To Survive. Read articles, download documents, join the conversation, and add your expertise! 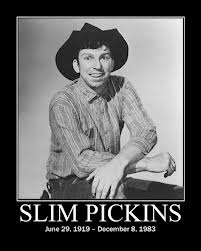 The first cut of the Wisconsin Health Insurance exchange markets have been announced and it looks like slim pickins! Wisconsin's "big 3" (United Healthcare, Humana and Anthem) are not participating in the small group exchanges. Also, keep in mind that for Wisconsin’s Exchange, we have 16 different rating regions and carriers can file for just specific ones. Carriers have until 9/15/13 to sign contracts/pull out. Wisconsin Exchange Carriers for Individual and small group markets. Any way you look at it - this is slim pickins for Wisconsin businesses. There are other options for avoiding the exchanges and the "taxes". More about self funding your health insurance. Learn how Voluntary Benefits are impacting small businesses and their ability to attract and retain employees during this time of benefit change. 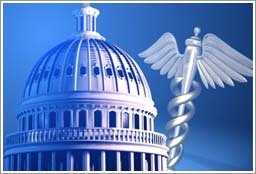 A major provision of the Healthcare law that would require employers to provide health insurance for their workers has been delayed until 2015. The part that is delayed: the requirement that businesses with more than 50 employees provide health insurance to their workers or pay a penalty. Businesses with more than 50 employees would have paid a fee of $2,000 per uninsured employees after the first 30 employees. The Congressional Budget Office expected those penalties to bring in $4 billion in 2014. 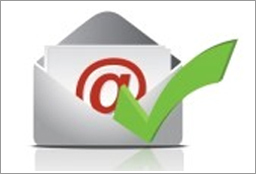 Employer Mandate Penalties Delayed Until 2015 - legislative brief. Fewer employers may cut employee hours in 2014. This one-year respite may make employers (e.g., restaurant and retail establishments) less likely to reduce employee hours below 30 hours per week (so as to classify such employees as part-time for section 4980H penalty calculations). Many families with children will have an unexpected benefit. For employers who offer employee but not dependent coverage, this one-year delay may also cause employers to postpone any offer of coverage to dependents. This may have a positive effect on such families for two reasons. First, children without an offer of employer-sponsored coverage may be eligible for the Children's Health Insurance Program (CHIP) if they meet the state-specific income and other eligibility requirements. Second, children without an offer of employer coverage may be eligible for the new premium assistance tax credits in 2014 even if their incomes are above the state-specific CHIP limit. Indeed, employers may be more likely to cooperate with enrollment efforts to get uninsured employees and their uninsured dependents covered under various ACA programs because they know with certainty that they will not face a penalty in 2014. States may face less pressure from business interests to expand Medicaid. Jackson Hewitt had released a report earlier this year estimating that American employers would incur $876 million to $1.3 billion in penalties in 22 states that were refusing to expand their Medicaid programs as contemplated under the ACA. Today's decision effectively removes that penalty liability for 2014. However, employers will continue to face such penalties in 2015 and thereafter in states that do not expand their Medicaid programs. The Treasury action today addresses anxiety among employers about the lack of final regulations from the IRS. While many employers with large part-time and seasonal employees embraced the flexibility afforded to them by the IRS's proposed approach, they voiced increasingly loud concerns that the IRS had yet to finalize this approach in a final rule. Indeed, the IRS has not publicly pledged to finalize these proposed rules before the major provisions of the ACA take effect in 2014. In an unexpected development late Tuesday, though, the Treasury Department effectively moots this issue for 2014. Other key parts of the law, including the health exchanges where individuals can buy insurance, are on schedule. The exchanges will open on Oct. 1, wrote Valerie Jarrett, a senior adviser to President Obama, in a White House blog released Tuesday. The delay also does not change the individual mandate, which requires most Americans to purchase insurance. Some consumers may receive subsidies to help them pay for the insurance depending on their incomes. 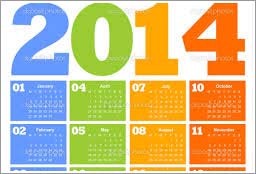 The government still encourages businesses to voluntarily begin reporting in 2014 so they will be ready for 2015. The administration is strongly encouraging employers to maintain or expand health coverage during the 2014 transition period. Various parts of the law have taken effect since its passage in 2010, including allowing children up to age 26 to remain on their parents' insurance plans and discounts for prescription drugs for Medicare patients. More young Americans have health insurance than before the law, because of that change, and the discounts have saved Medicare recipients billions of dollars. Each state must establish a health insurance exchange (or HHS will do so) for use by the uninsured and small employers with 100 or fewer employees (states may set the cap at 50 employees). The exchanges will offer fully insured insurance contracts that provide essential health benefits at differing levels of coverage (bronze, silver, gold, and platinum). Employees of small employers who offer health insurance coverage through an exchange may pay their employee premiums for such coverage on a pre-tax basis through the employer’s cafeteria plan. Individuals who do not have affordable minimum essential coverage from their employer will be eligible for tax credit subsidies for their health insurance purchase on a state exchange if their income is below 400 percent of federal poverty level. (In 2013 the federal poverty level for a household of 1 in the 48 contiguous states is $11,490, therefore 400% of that would be $45,960. These dollar penalties will be indexed for inflation starting in 2017. In no event will the maximum penalty amount exceed the national average premium for bronze-level exchange plans for families of the same size. Minimum essential coverage includes Medicare, Medicaid, CHIP, TRICARE, individual insurance, grandfathered plans, and eligible employer-sponsored plans. Workers compensation and limited-scope dental or vision benefits are not considered minimum essential health coverage. Employers with more than 200 employees who maintain one or more health plans must automatically enroll new full-time employees in a health plan. 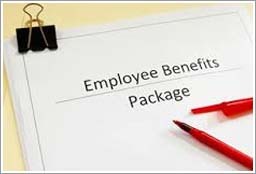 The employer must give affected employees notice of this automatic enrollment procedure and an opportunity to opt out. State wage withholding laws are preempted to the extent that they prevent an employer from instituting this automatic enrollment program. The final effective date will be established by DOL regulations. Pre-existing condition exclusions no longer will be allowed in group health plans or individual insurance policies, not even the limited exclusions previously allowed under HIPAA. This also applies to grandfathered plans. Group health plans and health insurance issuers may not impose waiting periods of more than ninety days before coverage becomes effective. This also applies to grandfathered plans. Group health plans, including grandfathered plans, may not impose cost-sharing amounts (i.e., copays or deductibles) that are more than the maximum allowed for high-deductible health plans (currently these limits are $5,000 for an individual and $10,000 for a family coverage). After 2014, these amounts will be adjusted for health insurance premium inflation. Group health plans, including grandfathered plans, may no longer include more than restricted annual or any lifetime dollar limits on essential health benefits for participants. Limits will possibly exist in and after 2014 for non-essential benefits. Insurers and health plans, unless grandfathered, may not discriminate against an individual for participating in a clinical trial. If a plan covers a qualified individual, it may not deny or impose additional conditions for participation in a clinical trial. All employers providing minimum essential coverage must file information with the IRS and plan participants. Large employers and employers with at least 50 full-time equivalent employees must submit annual health insurance coverage returns to the FTEs and the IRS. The returns must certify whether the employer offers health care insurance to its employees and, if so, describe the details regarding plan participation, applicable waiting periods, coverage availability, the lowest cost premium option under the plan in each enrollment category, and other information. The U.S. Supreme Court in effect ruled that the requirement for states to offer Medicaid benefits to all persons with incomes at or below 133 percent of the federal poverty level is optional with each state. States that participate in the expansion will receive full reimbursement of their additional Medicaid costs from the federal government until 2017. 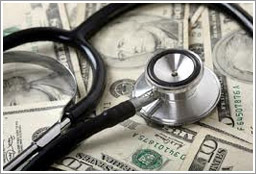 At that time, reimbursement will gradually decline to 90 percent of extra costs in 2020 and thereafter. Code Section 105(h) currently taxes the benefits received by highly compensated employees (HCEs) under discriminatory self-funded health plans. PPACA has extended these nondiscrimination rules to insured plans. Employers with discriminatory insured arrangements will need to consider changing them. Grandfathered plans are exempt from this rule. This new requirement was originally intended to be effective for plan years beginning on or after September 23, 2010. 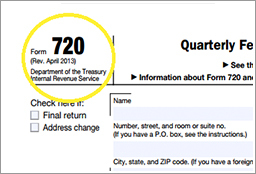 The effective date was postponed in 2010 until IRS publishes a notice, which has not yet been issued. The provision may not be effective in 2014 but it most likely will be. If you're starting your own business - Good for you! It's a big leap of faith and can often times be a big hit on your pocket book. If you're leaving a full-time employer to make this move, chances are you are also walking away from your health insurance coverage - or some form of it anyway. For those that have health insurance currently, but are making the move, here are some suggestions that will help you either find health insurance or try to extend what you've got for the first year or so. If you have an insured spouse that has health insurance, this is probably your most affordable option. On average, workers pay $4,129 toward their annual health insurance premiums. This averages to $344 a month. You'll be hard pressed to find individual health insurance for that price. (Younger workers are taking a huge increase with reform, and older workers, well, they are more risky - so your age may not get you a better price in the new age of reform). Under the COBRA (Consolidated Omnibus Budget Reconciliation Act), employers are required by federal law to offer COBRA extensions for health and dental coverage up to 18 months for you an your dependents when you leave your job. Drawback: It's really expensive. If you have planning time before you leave, consider dropping to the lowest cost plan your company offers - when the enrollment period allows. This will at least get you a lower monthly COBRA payment. Be leery of websites that offer you dozens of quotes for affordable health care insurance. Sure you'll get some numbers - sometimes too many numbers. But once they have your information, you'll be hounded by a plethora of independent insurance agents all clambering for the same piece of business - yours! Health insurance rates are set by the federal government - so no one company is going to be different than the other - the real difference is service from an independent agent. An independent agent can provide free quotes and handle all of the shopping for some of the best choices and value in health care coverage. An independent agent knows the marketplace, knows the product, knows the carriers and most of all will get to know you and your needs, and protect you - that's their job. See 5 Mistakes to Avoid When Buying Individual Health Insurance and 7 tips on How To Pick The Best Individual Health Insurance Coverage. Some professional and trade associations offer health insurance with group coverage rates. If you are over 55, consider AARP.org. The National Association for the Self Employed offers insurance plans as well. Chambers of commerce or business alliances can often have a consortium offering for health care insurance too - check with your local chamber of commerce for their options. Because individual insurance is fairly expensive, some self employed people have opted to hire an additional employee to qualify them as a small business. Most independent agents like R&R Insurance can offer group premiums with 2 or more employees - this could make a significant difference in your monthly cost. Probably the least desirable for someone with an entrepreneurial spirit, but the suggestion to stay employed is worth mentioning. Stay employed either with your current company or with a company that offers health insurance coverage for the minimum number of hours a week - most often times its 30 hours a week. This keeps your pocket book in line, continues coverage for your family and gives you more time to chase your dream - although a little more slowly. For more information on insurance for self employed individuals please visit our website. R&R Insurance Services is an independent insurance agency serving all of Wisconsin. We offer businesses and families access to affordable insurance coverage with excellent 24/7 service. For more information on individual health care plans contact knowledgebroker Donna Wahl.